Fri., Feb. 12, 2010, 11:57 a.m.
A jury reached a verdict Feb. 12, 2010, in the case of plaintiff Kenneth Putnam in the first of 19 lawsuits against Morning Star Boys’ Ranch scheduled for trial in Spokane County Superior Court. Putnam, who was a resident at the group home for troubled boys in 1988 and ’89, claimed the ranch’s director at the time, the Rev. Joseph Weitensteiner, and counselor Doyle Gillum, now deceased, molested him. He added that he also was happy for Gillum, who was killed in an automobile accident, and those who knew him. Putnam’s lawyers claimed the ranch knew or should have known about ongoing abuse at the facility. The jury heard testimony from five witnesses who said they, too, were abused at the ranch. Putman lead attorney, Tim Kosnoff, left the courtroom shortly after the verdict was read without issuing a statement. Putman was not in court to hear the verdict. King, the attorney representing Morning Star countered that those claiming abuse were merely seeking money and called into question the credibility of the accusers, some of whom have criminal histories. The jury in the case was asked to answer yes or no to these questions. 1. 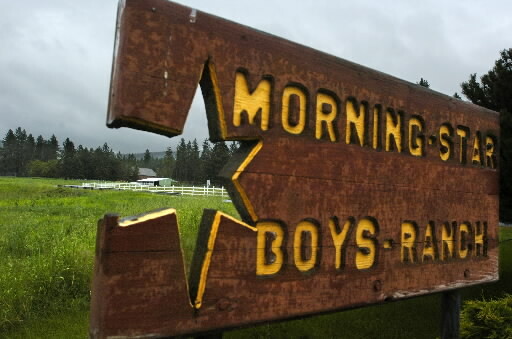 No With respect to Kenneth Putnam’s negligence claim of failure of the Morning Star Boys’ Ranch to warn or protect him from childhood sexual abuse, was the Morning Star Boys Ranch negligent? 2. No Was the negligence of Morning Star Boys’ Ranch a proximate cause of Kenneth Putnam’s injury? 3. No With respect to Kenneth Putnam’s claim of outrage, did Morning Star Boys’ Ranch intentionally inflict emotional distress on Kenneth Putnam? 4. No Was the outrage a proximate cause of Kenneth Putnam’s injury? 5. No With respect to Kenneth Putnam’s civil conspiracy claim, did Morning Star Boys’ Ranch engage in a civil conspiracy with others to conceal its knowledge of childhood sexual abuse from Kenneth Putnam and civil authorities? 6. No Was the civil conspiracy a proximate cause of Kenneth Putnam’s injury? Published: Feb. 12, 2010, 11:57 a.m.